19,566 others viewed this post. Here’s a quick stack + composite of the 10% moon with earthshine taken last night over Australia. There are many ways to merge two different exposures, but a simple gradient layer mask makes the moon look quite spherical which I like! Taken with my Celestron 9.25″ SCT / F10 and Canon 70D at prime focus. 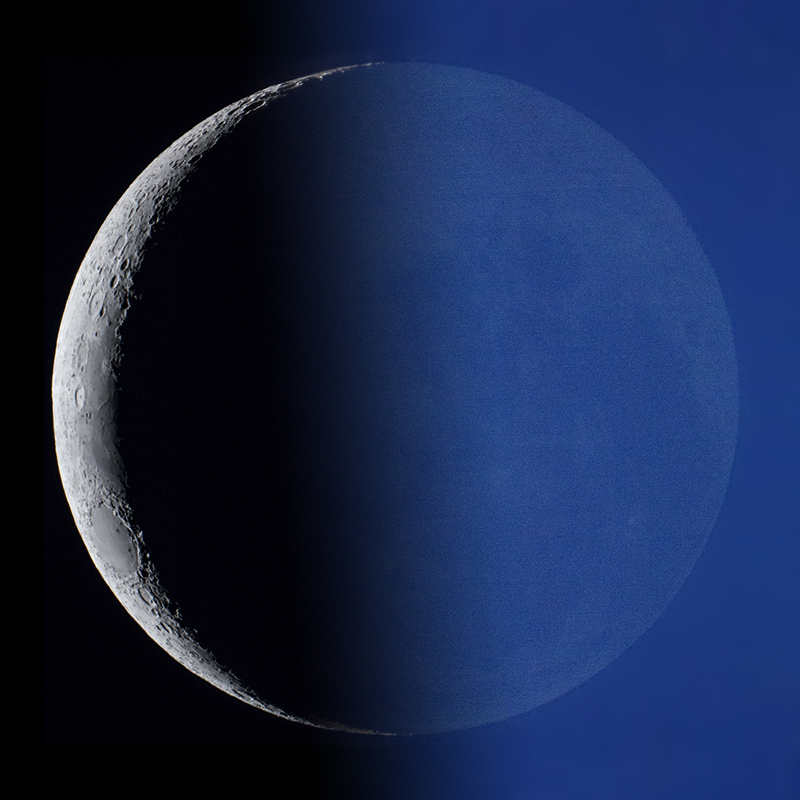 Earthshine occurs in the twilight of sunset / sunrise when the dark side of the moon is visible from the reflected light of our blue ocean planet.